Following on from the drawn design I did below. I started to block out a version in UE4. 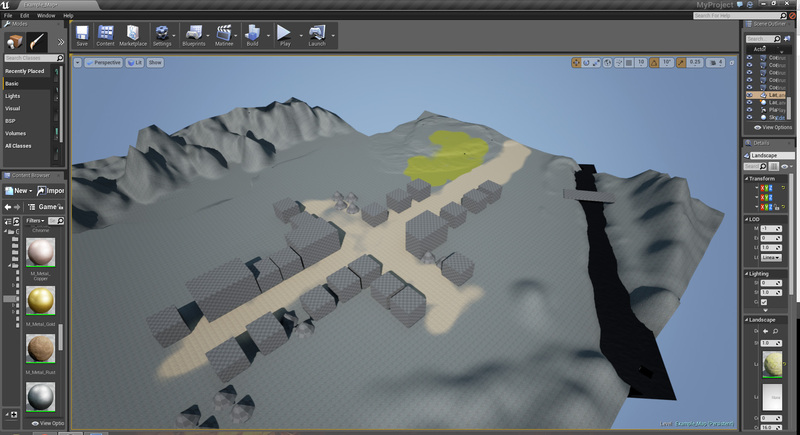 It’s a very rough blockout with the terrain not completed and a lot of the buildings unassigned to what they would be. 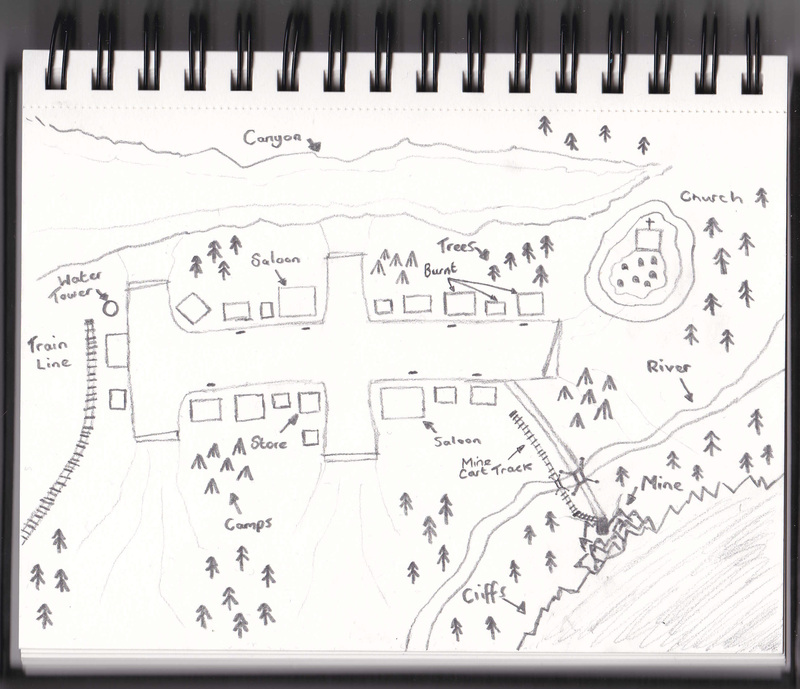 The rivalling saloons are at opposite sides of a crossroads with Iya Canyon behind the town to the north. 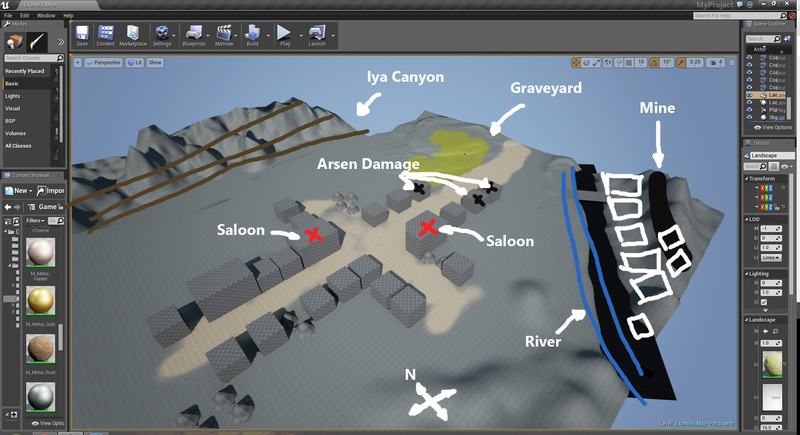 The main entrance to the town is from the east next to the graveyard and running along side the river where people are looking for gold in their individual claims. The terrain around the town will be heavily populated with hills, trees and wildlife. The two saloons and potentially a hotel will have balcony’s and roof access. 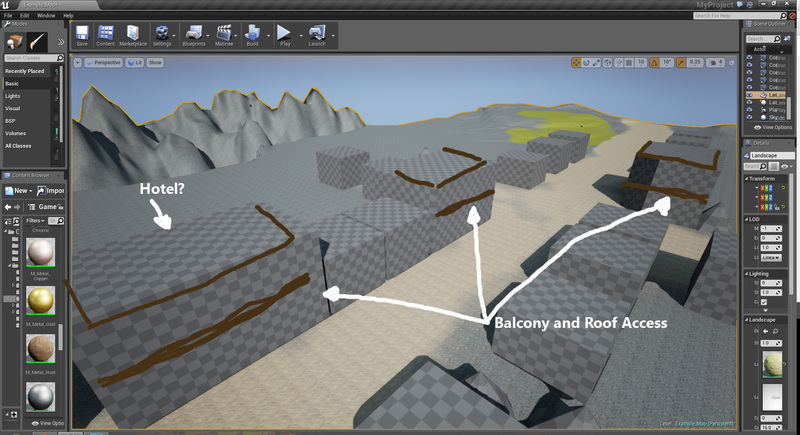 Most of the other buildings will have some sort of access to the roof which could be via ladders, climbing, jumping from other buildings etc.